Foxtel has announced it will close its 3D channel at the end of August. The 3D channel (Ch 201) was announced with some fanfare in November 2010 with a mix of mostly sports and live events from FOX Sports and ESPN. “Our new dedicated 3D channel is another ground-breaking first and will allow our customers to experience movies, sports and documentaries in stunningly clear and immersive 3D pictures,” said then-CEO Kim Williams. Free to Air networks also got excited with 3D coverage of the Olympics, State of Origin and AFL. But in recent months 3D has been on the wane worldwide, with limited content being produced for television and low adoption by consumers. The BBC recently announced it would take a three-year break from developing 3D programming at the end of this year. Doctor Who‘s 50th Anniversary will still be produced as a 3D version in November. CNN reports Disney-owned ESPN is also shutting down the ESPN 3D channel. 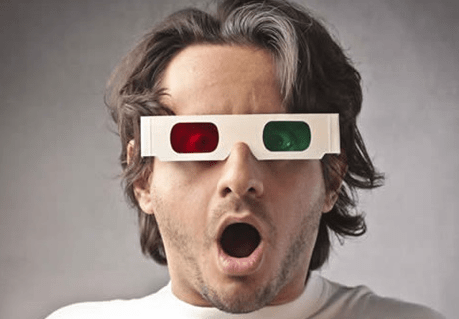 Complaints about home 3D have referenced around high prices, the limited number of 3D offerings and the awkward glasses that made viewing uncomfortable over long periods of time. And many consumers, having recently upgraded to high-def flat screens, weren’t ready to replace their sets yet again with newer models. In recent surveys, TV Tonight readers have previously noted 3D was a low priority compared to a desire for more HD content. Foxtel’s 3D channel closes on 27th August. My partner is blind in one eye so can’t see 3D anyway, so was never an option for us. They haven’t shown one single 3D movie on this channel. Just repeat after repeat of the X Games with the occasional documentary. I am a fan of 3D but this channel will not be missed. I hope they will use the 3d channel to give more bitrate to the already bitrate starved HD channels. the 3d channels uses 10-13mbps, give it back to the existing HD channels to make them look better. When you have a 70″ TV you see how crap Foxtel HD really is, because of the poor bitrate!. I like many enjoy going to the cinema for a 3D film but if I’m laying on the lounge eating and using social media, then wearing the glasses and all is just impractical. I like well produced 3D films and documentaries but only watch them on bluray. It doesn’t lend itself well to casual viewing, especially with your smartphones and tablets let alone a sizeable group of mates.